Self-supporting designs that eliminate the need for structural supports can reduce manufacturing complexity caused by overhanging parts in additive manufacturing (AM). Traditionally, 45° is the minimum overhang angle required to ensure that designs can be manufactured without requiring any supporting structure. 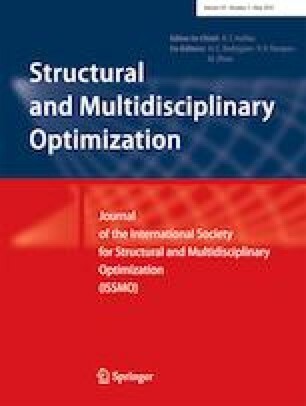 In this paper, a new self-supporting design method of AM based on topology optimization with overhang angle constraint is proposed. A self-supporting index established using a continuous logistic aggregate function is introduced to assess the supporting status of the specimen for AM process. This proposed self-supporting index is continuous and can be directly differentiated for sensitivity analysis without further mathematical transformations in the optimization formulation. Furthermore, it can be easily extended to a high-dimension aggregate (i.e., it can easily adapt to different overhang angles or self-supporting design domains). Numerical and fused deposition modeling (FDM) of a cantilever and MBB beam reveal that the self-supporting design can satisfy either general overhang angles or arbitrary orientation of AM deposition direction. The author thanks Krister Svanberg for use of the GCMMA optimizer. This study was supported by the Ministry of Science and Technology, Taiwan, ROC, under contract no. MOST 106-2622-E-194-003-CC2 and MOST 107-2634-F-194-001.